Helping college fit into the bigger picture. Helping your clients invest in their greatest asset. Idaho’s 529 Plan helps your clients save on their taxes while saving for their children’s college education. Download IDeal’s tax deduction checklist to help your clients take advantage of IDeal’s tax benefits. Financial Advisors: 529 Quickview lets you manage all your clients’ IDeal transactions in one place. Idaho’s 529 Plan helps your clients save on their taxes while saving for their children’s college education. Sign up for email updates and help clients invest in their greatest asset.  2 Contributions to the IDeal - Idaho College Savings Program are deductible from Idaho state income tax, subject to recapture in certain circumstances, such as a non-qualified withdrawal or a rollover to another state's qualified tuition program in the year of the rollover and the prior tax year. 3 In the event the donor does not survive the five-year period, a pro-rated amount will revert back to the donor's taxable estate.